1. Break the cauliflower into large flowerets. 2. 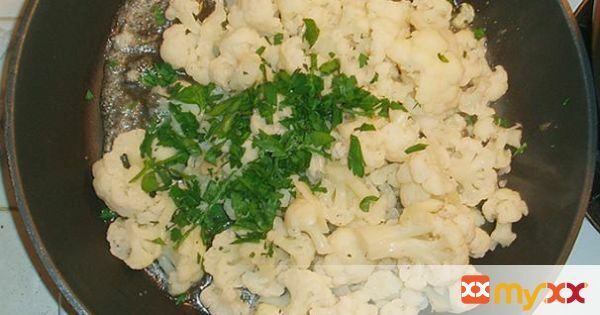 Place the cauliflower in a medium sized cooking pot, and cover with water. 3. Add the salt, pepper, and milk. 4. Heat to a simmer over medium heat, and simmer for 12 to 15 minutes or until tender. Drain well. 5. In a large skillet, melt the butter over medium-high heat. 6. Add the cauliflower, lemon juice, and chopped parsley. 7. Cook, tossing, for 1 minute. Serve immediately.